Also in the first aisle was Chalfont's The Happy Mixer. 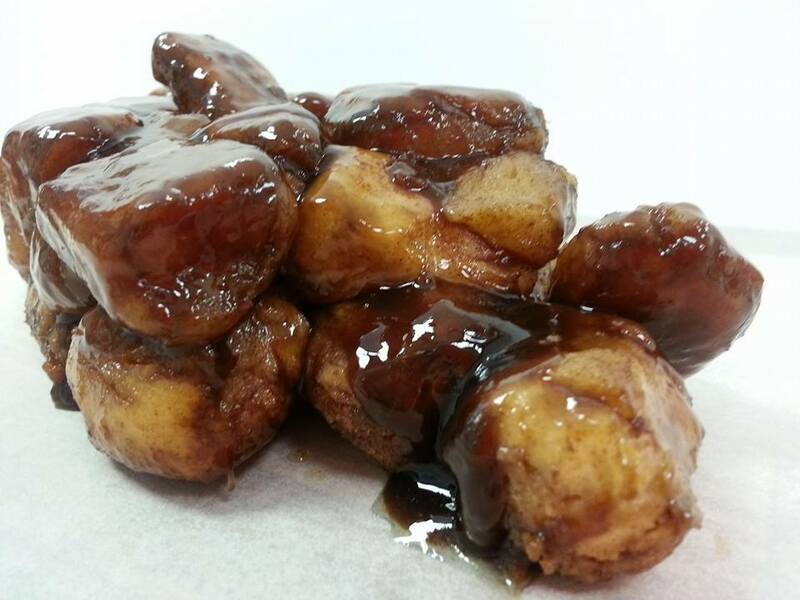 Owners Tim and Lisa handed out bite-sized portions of their incredible tasty sweets like lemon pound cake, kiffles and monkey bread, which is only available during selected holidays. Rittenhouse Square's 100% gluten-free Farmers Keep restaurant offered samples of its delicious mango quinoa salad and purple potato salad, and adults in the crowd enjoyed trying the different varieties of Spiked Seltzer, Tito's Vodka & lemonade, and bloody Marys made with vodka from Boardroom Spirits, which is based in Lansdale. 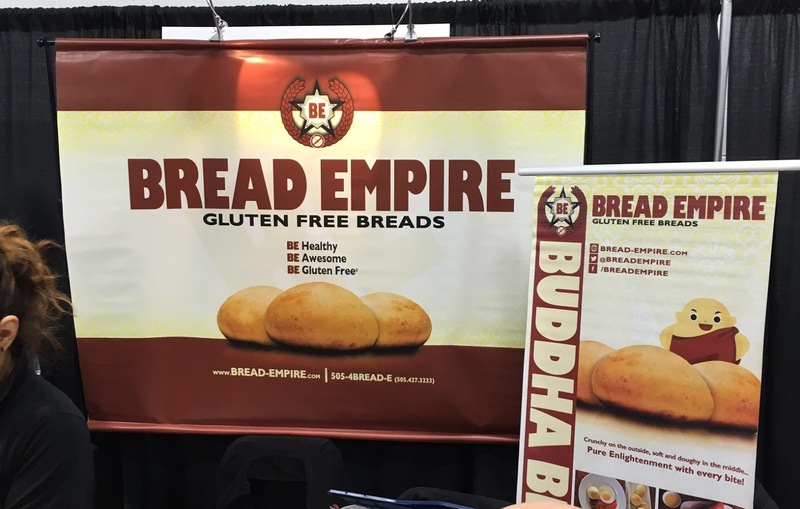 New-to-us products were Veggie Fries, locally made Luhv black bean burgers and warm, chewy Buddha Bread from Bread Empire. 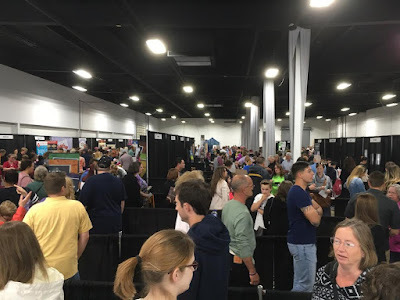 Given the success of the expo, the organizers intend to return to the Philadelphia area next May. 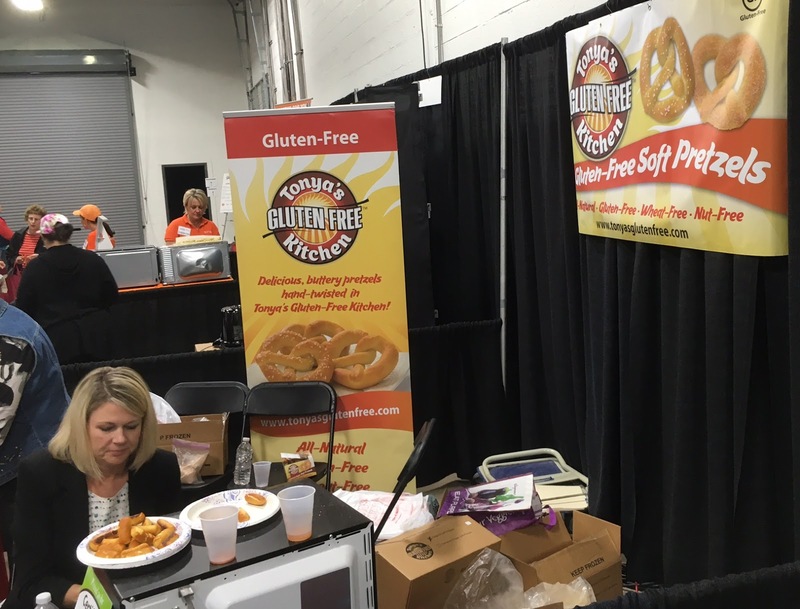 Meanwhile, if you're in the central part of the state, the Central Pennsylvania Gluten Free Expo will return to State College on Sunday, November 20.